Saber Grills of Columbus, Ga., is recalling about 26,500 gas grills and 3,400 warranty parts and conversion kits sold in the U.S. and Canada. Masterbuilt Manufacturing of Columbus, Ga., is recalling about 41,300 Masterbuilt 7-in-1 smokers sold in the U.S and Canada. The smoker’s gas hose can disconnect posing a fire hazard. The company has received five reports of the PVC gas hose becoming disconnected during use, including one report of property damage from a fire. There have been no reports of injuries. The recalled Masterbuilt 7-in-1 smoker comes in green or stainless steel with a Cabela’s logo, or black with Masterbuilt logo. The three-piece cylindrical body design consists of a lid, center body, and base which sits on the LP gas burner stand. It also has a porcelain flame disk bowl, water bowl, cooking grates, 10-quart pot and basket, thermometer, burner, a PVC hose and weighs about 32 pounds. 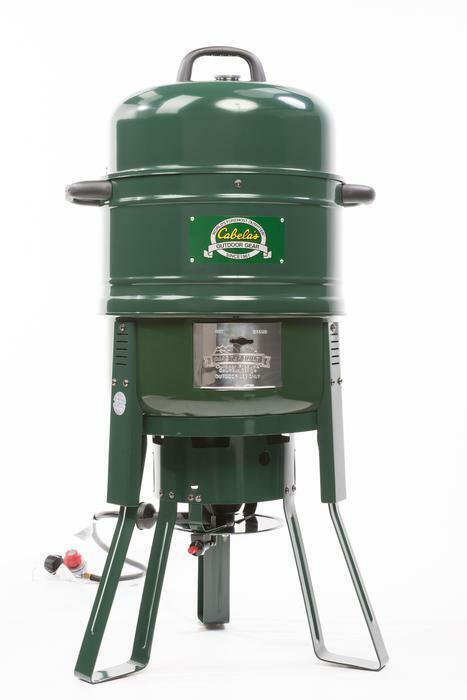 The smokers, manufactured in China, were sold at Army, Air Force Exchange, Cabela’s, Gander Mountain and other stores nationwide and online at www.Amazon.com from April 2011, to October 2016, for about $150 to $200. Consumers may contact Masterbuilt at 800-489-1581, from 8 a.m. to 5 p.m. (ET) Monday through Friday, or online at www.masterbuilt.com and click on Support then choose Contact on the upper right hand corner of the page for more information. Lowe's Home Centers is recalling about 24,000 Perfect Flame Double-Lid Four-Burner Gas Grills. The cooking chamber of the grill can melt and/or ignite, posing a risk of fires and burn injuries to consumers. There have been 175 reports of grill fires and 25 reports of grills melting, some of which resulted in minor property damage. No injuries have been reported. 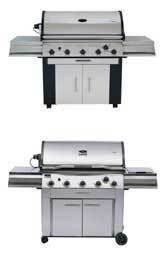 This recall involves Perfect Flame brand grills, Model GAC3615 four burner LP gas grills. The grill has two lids. "Perfect Flame" is printed on the larger lid. The model number, serial number, and date code are printed on a label on the right side cart frame panel. The following serial numbers and date codes are included in this recall. The grills were sold at Lowes stores nationwide from October 2007 through July 2008 for about $300. They were made in China. Consumers should immediately stop using the recalled grills, disconnect the propane tanks, and return the grills without the propane tanks to any Lowes store to receive a full refund. 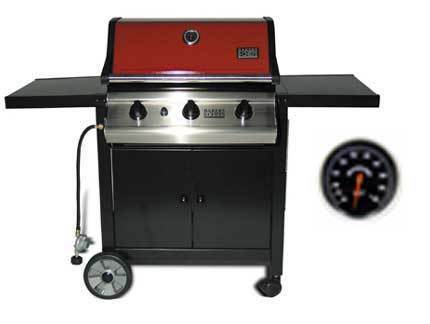 August 7, 2008 Lowe's Home Centers is recalling about 24,000 Perfect Flame Double-Lid Four-Burner Gas Grills. The cooking chamber of the grill can melt and/or ignite, posing a risk of fires and burn injuries to consumers. Weber Genesis 320 Series gas grills are being recalled. The gas hose attached to the side burner of the grill can crack or break off during shipping, causing it to leak gas when in use, which poses a fire hazard to consumers. Weber has received 49 reports of hose damage or gas leaks. No injuries have been reported. This recall involves the Weber Genesis 320 Series gas grills which are designed to be used with either natural gas or with liquid propane gas tanks, and are equipped with a flush-mounted side burner accessory. The gas hose is made of stainless steel. The grills are sold in stainless steel and in black, blue or green porcelain enamel. All serial numbers begin with the prefix "DI." The model and serial number are located on the tank blocker/drip pan holder located inside the storage cart. The grills were sold at Home Depot, Ace Hardware and Home Centers, Tru-Serve, Do-It Best, and other home improvement and hardware stores nationwide from November 2006 through February 2007 for between $450 to $770. Consumers should stop using the gas grill immediately and contact Weber-Stephen to obtain a free replacement gas hose and schedule a free installation. Consumer Contact: Call Weber-Stephen toll-free at (866) 249-3237 between 7 a.m. and 11 p.m. CT Monday through Friday, or visit the company's recall web site at www.weberrecall.com. March 6, 2007 Weber Genesis 320 Series gas grills are being recalled. The gas hose attached to the side burner of the grill can crack or break off during shipping, causing it to leak gas when in use, which poses a fire hazard to consumers. Nexgrill Industries is recalling about 86,000 Charmglow gas grills sold at Home Depot. The hose connecting the propane tank with the manifold can run up too close to the firebox. The heat from the firebox can damage the hose, causing it to leak gas. The release of gas creates a fire risk that could cause injury and property damage. Nexgrill has received five reports of fires involving hoses leaking gas and more than 45 additional reports of incidents involving possible gas leaks. The recalled Charmglow Gas Grills have a model number of 720-0036-HD-05, which can be found on the back of the grill. 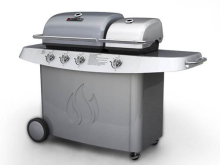 The stainless steel grill is designed to be used with propane gas. The name of the grill is located at the left corner of the exterior of the main burner lid. A temperature gauge is located at the center of the main burner lid. The grills were sold at Home Depot stores nationwide from November 2004 through June 2005 for about $350. Consumers should stop using the gas grill and contact Nexgrill Customer Service to receive a free, self-installation repair kit. Consumer Contact: Call Nexgrill toll-free at (888) 568-9888 between 9 a.m. and 5 p.m. PT Monday through Friday, or log on to the companys Web site at http://0036.serorder.com. More than 600,000 Perfect Flame SLG Series gas grills sold at Lowe's Stores are being recalled. The burners can deteriorate causing irregular flames and the lids of some models can catch fire, posing fire and burn hazards to the consumer. The firm has received about 40 reports of fires from the burners deteriorating and about 23 reports of the lids catching fire. The firm is aware of one report of an eye injury requiring surgery and 21 incidents of minor burns to the hands, arms or face. The recalled grills are SLG series 'Perfect Flame' brand outdoor propane or natural gas grills. The grills are stainless steel and painted black or gray metal. The model numbers affected by this recall are listed below. The model number can be found in the compartment under the cooking chamber. No other Perfect Flame model numbers are included in this recall. The grills were sold exclusively at Lowe's retail outlets nationwide from September 2005 through May 2009 for between $200 and $550 (U.S.) and in Canada from December 2007 through May 2009 for between $200 and $250 (CAN). They were made in China. Consumers should immediately stop using the product and contact L G Sourcing to receive free replacement burners and, depending on the model of the grill owned, a free replacement lid. November 18, 2009 More than 600,000 Perfect Flame SLG Series gas grills sold at Lowe's Stores are being recalled. The burners can deteriorate causing irregular flames and the lids of some models can catch fire, posing fire and burn hazards to the consumer. Sagittarius Sporting Goods of China is recalling about 10,000 Master Forge five-burner gas grills sold at Lowe's Stores. The flexible rubber hose on the LP gas tank can come into contact with burner box, causing the hose to melt and rupture when the grill is lit. This poses a fire and burn hazard to consumers. The firm is aware of two complaints of the hose melting and rupturing. No injuries or property damage have been reported. This recall involves Master Forge five-burner, stainless steel gas grills. The name Master Forge is on the grill hood. The model number L3218 is located on a label inside the left front door of the grill. The grills were sold at Lowes stores nationwide from September 2009 through November 2009 for about $500. Consumers should immediately stop using the recalled grills and contact Sagittarius to obtain a free repair kit. For additional information, contact Sagittarius at (800) 444-6742 between 8 a.m. and 6 p.m. ET Monday through Thursday, and 8 a.m. and 5 p.m. on Friday. This summer, more families will likely be trading restaurant meals for home-cooked suppers. And for those who like to grill, there's good news: Consumer Reports' latest report on gas grills found five CR Best Buys for $500 or less. Additionally Consumer Reports notes that consumers will see less stainless steel on many grills as manufacturers instead add painted-steel carts and shelves or stainless-steel trim as a way to maintain prices. Consumer Reports found that while some manufacturers are using vibrant colors in their designs, others are adding features, like the top-rated large Fiesta Blue Ember iQue FGQ65079-U403 ($900), which has a touch-screen display and controls and claims to use sonar to gauge the amount of propane in the tank, or the Nexgrill 720-0665 ($860) which has a minifridge that can hold a number of beverages and condiments. Although gas grills have been more popular in the market over the past 14 years, sales of charcoal grills are making a comeback, according to the Hearth, Patio & Barbecue Association. Nearly 41 percent of the 16.7 million grills shipped in the U.S. last year were charcoal. To find out whether gas or charcoal serves up more appetizing food, Consumer Reports ran taste tests on a gas and a charcoal model. Tasters said that gas-grilled foods had a cleaner taste, and that while charcoal-grilled food had added flavor, the charcoal cooking didn't necessarily enhance the taste. • The Fiesta Blue Ember FG50069-U409, $450, available at Home Depot, surpassed the $1400 Napoleon Prestige II PT450RBI for overall performance. The Fiesta Blue Ember also comes with a rotisserie. • The Char-Broil Red 463250509, available at Home Depot for $450 scored Excellent for evenness, and Very Good for low-temperature grilling, convenience and features. It provides lots of shelf space, and has a lifetime warranty on its three burners. • For even less money, the Kenmore 16641 ($350), is a good value considering the price, and also comes with a 10 year burner warranty. • The Char-Broil Commercial Series 463268008, available at Lowe's is also a good value at $300, and comes with a lifetime burner warrantee. It scored Very Good for evenness and Excellent for low-temperature grilling. • The Char-Broil Commercial Quantum 463247209, available at Lowe's, $500, is a quality large grill that is mostly stainless. Size up the cooking area: While manufacturers might account for warming racks when measuring size, Consumer Reports categorizes grills in three sizes based on cooking area: small/portable, which typically have one to two burners (cooking area 340 square inches or smaller); medium grills, which have two to four burners (340 to 490 square inches); and large (more than 490 square inches), which have three to six burners. Remember, cooking in batches is a simple solution if you have a small grill but are having a large gathering. Don't be dazzled by Btu: A grill that has a higher Btu/hr (British thermal units per hour) rating won't necessarily deliver faster heating or higher grilling temperatures. The figure merely indicates how much gas a grill uses and usually tracks with the number of burners it has and the size of the grill. Focus on features: Sometimes grills in a company's line are the same except for a feature or two. Side burners, rotisseries and minifridges are nice extras, but may not be worth the money. Check to see whether the manufacturer sells accessories separately, like rotisserie motors and spits, which can add about $60 to $180 to the price of a grill. When it comes to grates, Consumer Reports recommends stainless-steel or porcelain-coated cast iron cooking surfaces, which should last longer and sear better. Inspect the units: A simple inspection of a grill before purchase can prevent any safety issues. A gentle nudge of the model from several angles will ensure the grill is sturdy, while the grill handles should be far away from the hot lid. Also check for sharp corners and edges on the cart, firebox, lid, and shelves. For stainless steel parts, take a magnet to the store with you. Lower grades of stainless steel are magnetic. Higher grades aren't and should fight corrosion better. LG Sourcing of North Wilkesboro, NC, is calling about 37,000 Master Forge gas grills. If improperly installed, the hose connecting the gas tank and regulator to the burner control can touch the burner box and cause the hose to melt and rupture when the grill is lit. This poses a fire and burn hazard. There have been two reports of hoses melting and rupturing, but no reports of injuries. This recall involves Master Forge four-burner gas grills with a single-door base. "Master Forge" is written on the grill's hood. The model number GD4825 is located on a label inside the door of the grill's base. "Item 94227" is written on the cover of the instruction manual. The grills, manufactured in China, were sold exclusively at: Lowe's stores nationwide from November 2011 through May 2012 for about $270. Consumers should immediately stop using the grill and inspect it to make sure that the gas hose runs along the outside of the grill cabinet and passes through the round hole in the side panel. Consumers should contact Guangdong Vanward Electric for revised instructions and a warning label to apply to the grill that shows how to properly install the hose and the regulator. For additional information, consumers should contact Guangdong Vanward Electric toll-free at (888) 584-3648 between 8 a.m. through 6 p.m. ET Monday through Friday. Char-Broil of Columbus, Ga., is recalling about 71,200 Char-Broil Gas Patio Bistro Grills. The electronic ignition on the grill can ignite unexpectedly, posing a burn hazard. The company has received 26 reports of the burner flame going out and then unexpectedly reigniting when the consumer turned the control knob to “OFF.” The 26 reports include four reports of burns, including one with burns to the nose, chin and hair, and seven other reports of “burned” or “singed” hair. The grills, manufactured in China, were sold at hardware stores and other retailers nationwide, including Ace Hardware, Home Depot, Sears, Target, True Value and online from Amazon.com from September 2010, to June 2013, for about for about $175 for the full size grill and $135 for the table top grill. Consumers should immediately stop using the grills and contact Char-Broil for instructions on how to order and install a free repair kit. Consumers may contact Char-Broil toll free at (866) 671-7988 from 8 a.m. to 6 p.m. ET Monday through Friday and 10 a.m. to 3 p.m. ET. 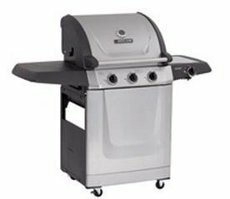 Nexgrill Industries is recalling the Beefmaster Explorer Outdoor Gas Grill model number 720-0001 because of a problem with the gas valve. As consumers adjust the gas pressure regulator (on/off gauge) leading to the propane cylinder, the label on the valve can become positioned in such a manner that it is difficult to read. This can cause consumers to inadvertently leave the gas valve on, posing a fire hazard. Nexgrill has received two reports of consumers leaving the gas valve on. No injuries or property damage has been reported. This recall involves the Beefmaster Explorer Outdoor Gas Grill Model Number 720-0001. The table top grill is made of stainless steel and is used with a disposable propane cylinder, which is purchased separately. Each grill has one main burner and a cooking grid that sits over the burner. Model numbers are located on the back panel of the grill. The brand name Nexgrill is on a plate on the grill lid. The grills were sold at Academy, Bar-B-Que Galore, Crate & Barrel, Home Town and discount department stores nationwide. Crate & Barrel also sold the grills through their catalog and at www.crateandbarrel.com. The grills were sold from January 2002 through June 2003 for about $100. Consumers should contact Nexgrill to obtain a free replacement gauge. Consumers can also return the product to the company for installation of the replacement gauge at no charge. In addition, Crate & Barrel customers should contact Crate & Barrel to obtain a free replacement gauge or to make arrangements to return the product to the company for installation of the replacement gauge at no charge. Consumer Contact: Contact Nexgrill toll-free at (800) 913-8999 between 9 a.m. and 5 p.m. PT Monday through Friday or email to info@nexgrill.com. Crate & Barrel customers should contact Crate & Barrel toll-free at (800) 451-8217 between 7 a.m. and 9 p.m. CT daily or at www.crateandbarrel.com. 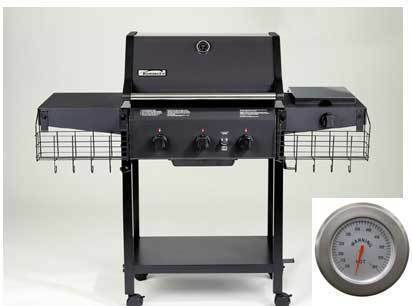 October 21, 2004 Nexgrill Industries is recalling the Beefmaster Explorer Outdoor Gas Grill model number 720-0001 because of a problem with the gas valve. CFM Corporation is rcalling about 12,500 five-burner Vermont Castings barbeque grills because of a gas leak and fire hazard. The burner tubes may not fit fully into the gas valves. If a consumer pulls on the console, the metal may flex and the gas valves may disconnect from the burners, releasing gas and creating a fire risk that could cause injury and property damage. CFM Corporation has received 38 reports involving gas leaks. No injuries or property damage have been reported. The recalled grills have five burners and a label on the back of the cabinet with the model number on the left side. Models CF9086 and VCS5000 are equipped with a side burner. Model CF9085 is not equipped with a side burner. Grills that do not have five burners and grills sold before 2004 are not affected by this recall. All of the affected grills were listed by Canadian Standards Association. 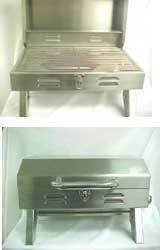 Model VCS5000 barbeque grills were sold at Vermont Castings dealers and distributors in Canada and the U.S. from January 2004 through September 2004 for between $899 and $1249. Models CF9085 and CF9086 were sold at The Home Depot in Canada and the U.S. from January 2004 through September 2004 for between $899 and $1249. Remedy: Home repair. Stop using the grill and immediately contact CFM Corporation toll-free at (866) 333-4833 Monday through Friday between 9 a.m. and 5 p.m. ET or visit the firms Web site at www.cfmcorp.com to schedule a free, in-home repair or to make arrangements to receive a consumer-installed safety retrofit kit. CFM Corporation has already notified known purchasers about this recall. November 10, 2004 CFM Corporation is rcalling about 12,500 five-burner Vermont Castings barbeque grills because of a gas leak and fire hazard. Char-Broil is recalling several models of its gas cooking grills. If moisture gets inside the grills' temperature gauge, the glass cover on the gauge can break, posing a risk of injury to people nearby. Char-Broil is aware of at least 30 reports of the gauges breaking, including 12 incidents of consumers who reported minor injuries. 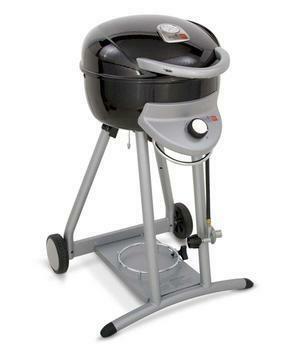 The products involved in this recall are outdoor gas barbeque grills. 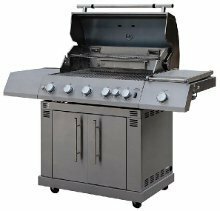 The recall includes three types of grills: The Commercial Series, Professional Series and Stainless Steel Series. The specific component involved in the recall is the temperature gauge mounted on the grill lid. The Commercial Series models are constructed from both painted metal and Stainless Steel. The Professional Series and Stainless Steel Series models are Stainless Steel construction. 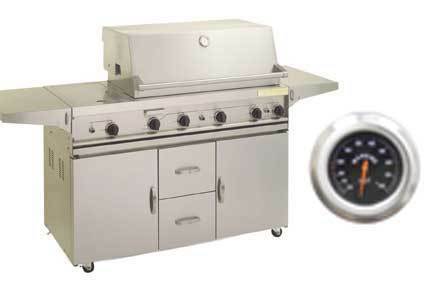 The Commercial Series gas grills have model numbers 4632210, 4632215, 463221503 and 463231503. These grills are sold with three main burners, with or without a side burner, and either a metal front panel or a cabinet with doors. The Professional Series gas grills have model numbers 4632235, 4632236, 4632240 and 4632241. These grills are sold as LP or natural gas, three or four main burners, with or without a side burner, and a cabinet with doors. 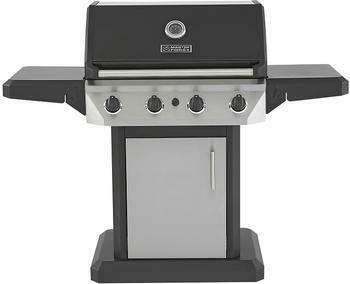 The Stainless Steel Series by Char-Broil gas grill has model number 4632220. This grill is sold with three main burners and an open Stainless Steel Cart. The grill model number is located on a label on the back panel of the storage cart. Char-Broil grills with model numbers other than those identified above are not included in this recall. The grills were sold at hardware, home improvement, appliance stores and specialty dealers nationwide. The Commercial Series grills sold from January 2002 through November 2003 for between $450 and $500; the Professional Series grills sold from February 2002 through November 2003 for between $800 and $1,000; and the Stainless Steel Series grills sold from January 2002 through May 2003 for $700. Contact Char-Broil to receive a free replacement temperature gauge. Consumers should not use the grill until the replacement gauge has been installed. Consumer Contact: Call the Char-Broil Grill Service Center toll-free at (866) 239-6769 anytime. March 10, 2004 Char-Broil is recalling several models of its gas cooking grills. If moisture gets inside the grills' temperature gauge, the glass cover on the gauge can break, posing a risk of injury to people nearby. Target is recalling about 2,300 Play Wonder toy barbeque grills. The circular ash tray attached to the stainless steel legs of the grill could contain sharp edges, posing a laceration hazard. This recall involves the Play Wonder Barbeque Grill. The grill is metal and has an orange metal base and top, along with stainless steel legs and a removable circular ash tray. The grill set also includes tongs and a spatula. The Play Wonder logo is located on the lower right corner of the packaging. The grills were sold at Target Stores nationwide from December 2006 to February 2007 for about $20. The grills were manufactured in China. Consumers should immediately take the toy grills away from children and return them to Target for a full refund. Consumer Contact: For more information, consumers can contact Target at (800) 440-0680 between 7 a.m. and 6 p.m. CT Monday through Friday, or log on to the firms Web site www.target.com. 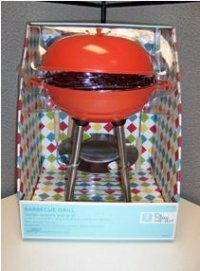 June 28, 2007 Target is recalling about 2,300 Play Wonder toy barbeque grills. The circular ash tray attached to the stainless steel legs of the grill could contain sharp edges, posing a laceration hazard. Grand Hall Enterprises of Taiwan is recalling 162,000 gas grills sold in the U.S. under the Bakers & Chefs, Members Mark and Kenmore brand names. If moisture gets inside the temperature gauge, the glass cover on the gauge can break, posing a risk of injury to people nearby. There have been eight reports of such incidents, two of which resulted in minor injuries. The recall includes Bakers & Chefs grills with model numbers Y0655 and Y0656; Members Mark grills with model number Y0660; and Kenmore grills with model numbers 15221 and 15223. The model number can be located on a silver ID tag on the back or side of the grill head. The recalled grills are stainless steel construction or painted steel and have the brand name on the front control panel or on the grill lid. The Bakers & Chefs grills have two casters, two wheels and two side shelves. The Members Mark grill has four casters, two side shelves and a side burner. The Kenmore grills have four casters. The grills were sold at Sam's Club and Sears stores nationwide from April 2001 through December 2002. The Members Mark grills sold for about $1,500. The other grills sold for between $249 and $299. Owners of the recalled grills will receive a free repair kit or replacement temperature gauge directly from the company. The repair kit will consist of a Glass-Gard protective film and instructions on how to place the film on the glass covering of the gauge. Testing confirms that the glass does not explode when the Glass-Gard is in place. Consumers should not use the grill until the Glass-Gard has been installed in accordance with the instructions. Consumers who have not received a repair kit or need assistance performing the repair should call Grand Hall at (888) 735- 5709 between 8 a.m. and 4:30 p.m. CT Monday through Friday or log on the Grand Hall Web site at www.grandhall.com. February 19, 2004 Grand Hall Enterprises of Taiwan is recalling 162,000 gas grills sold in the U.S. under the Bakers & Chefs, Members Mark and Kenmore brand names. Nexgrill Industries is recalling about 644 Jenn-Air Model 720-0100 Natural Gas Outdoor Gas Grills. A hose connecting the natural gas source to the grills main manifold may not have been supplied with these grills. Without this hose, the gas would be emitted into the air, creating a potential fire hazard. Consumers should not use the grill until the main burner hose is provided. Jenn-Air Outdoor Gas Grill Model Number 720-0100 NG, an outdoor gas grill with four main burners, a side burner and a rotisserie burner. It is made of stainless steel and is used with natural gas. Model numbers are located on the back panel of the grill. The brand name Jenn-Air is on a plate on the grill lid. The grills were sold at Lowes Stores nationwide from April 2004 through May 2004 for about $800. Consumers without a connecting hose should not use these grills, and contact Nexgrill to obtain a free hose. Registered consumers have received a notification of this recall. Consumer Contact: Contact Nexgrill toll free at (800) 554-5799 between 9 a.m. 5 p.m. PT Monday through Friday. August 25, 2005 Nexgrill Industries is recalling about 644 Jenn-Air Model 720-0100 Natural Gas Outdoor Gas Grills. A hose connecting the natural gas source to the grills main manifold may not have been supplied with these grills. Without this hose, the gas would be emitted into the air, creating a potential fire hazard. Consumers should not use the grill until the main burner hose is provided. About 50,000 "Member's Mark" gas grills sold by SAM's CLUB stores are being recalled because the bottom edge on the front control panel is sharp and can cause lacerations to the hands. The units were manufactured by Grand Hall Enterprise Co. Ltd., of Taiwan. Grand Hall has received four reports of consumers who sustained cuts or lacerations on their hands, while trying to move the grill or reaching under the control panel. The recalled grills have a stainless steel construction and have the name Members Mark on the front control panel. The grill has four caster wheels, a side shelf, and a side burner. Only units with model number Y0005XC-2 are included in the recall. The model number can be located on a silver ID tag on the back of the grill head. SAMS CLUB stores sold these grills exclusively from August 2000 through December 2001 for about $600. Consumers should avoid contact with the bottom edge of the grill until it is repaired. Grand Hall will mail repair kits directly to all grill owners. Consumers who have not received a repair kit should call Grand Hall at (888) 735-5709 between 8 a.m. and 4:30 p.m. CT Monday through Friday. September 25, 2003 About 50,000 "Member's Mark" gas grills sold by SAM's CLUB stores are being recalled because the bottom edge on the front control panel is sharp and can cause lacerations to the hands.